實際安裝的結果也令人滿意.方式和安裝其他 RHEL 一樣,不過 RHEL6 還沒正式推出目前還是 Beta 版本,所以我們在 VMware woekstation 中是看不到 RHEL6 的選項,不過只要安裝時選擇 Guest Operating System: Linux – Version: Red Hat Enterprise Linux 5 64-bit 即可 (這邊是假設要安裝的是 x86_64 版本的 RHEL6). IMPORTANT!!! 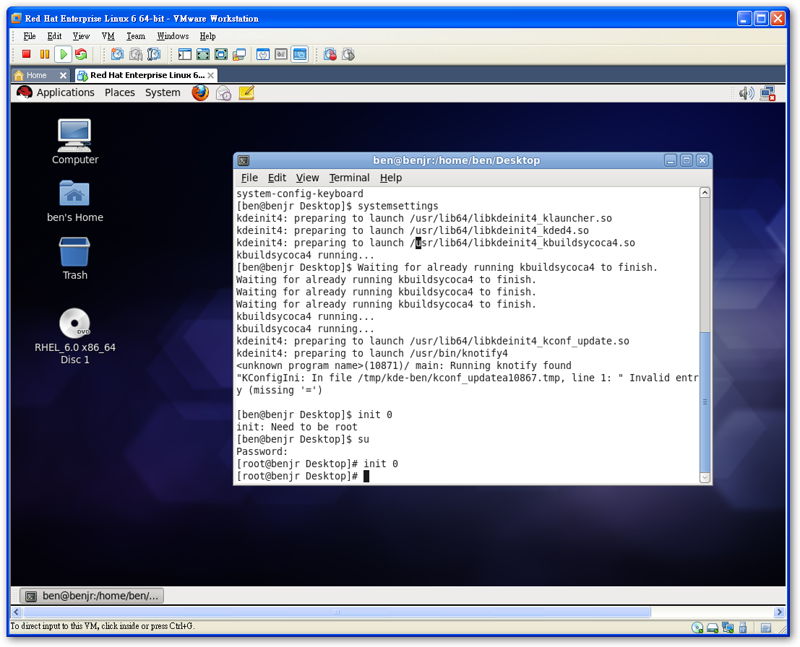 The default installation of RHEL does not include GCC, Make or the header files necessary to compile and install VMware Tools. 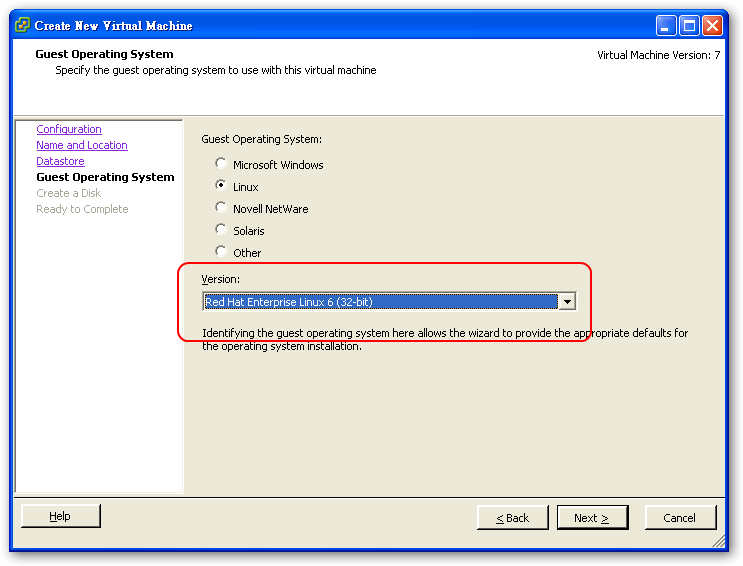 在安裝 VMware Tools 時需要注意一下,RHEL6 預設是無法使用 root 登入,但安裝 VMware Tools 是需要 superuser (root) 的權限才能安裝. Please re-run this program as the super user. 所以我們可以一般使用者登入後使用 su 切換成 root 再來安裝 VMware Tools.或是切換成 text mode 的 console 使用 root 登入到系統.